The Key Peninsula Metropolitan Park District, Key Pen Parks, was formed in May 2004 by a special election to provide locally-governed parks and recreation facilities for the citizens of the Key Peninsula. 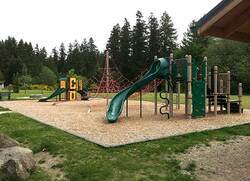 It replaced the financially-challenged 30-year-old Key Peninsula Parks and Recreation District. In October 2004, Key Pen Parks purchased the already-existing Volunteer Park, as well as the Home Park property, from the previous park district. 360 Trails Pump Track opens. Pool restoration project at Camp Stand By Me. 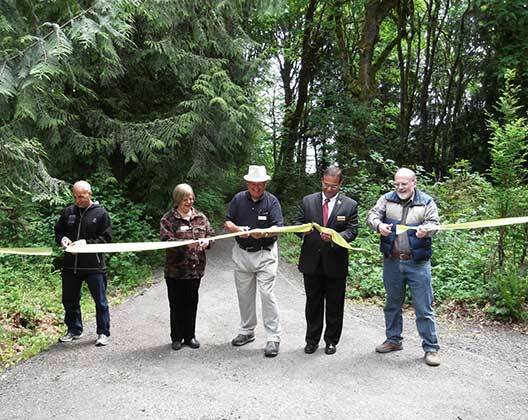 April 2014: The picnic shelter is erected and dedicated in April 2014 at Key Peninsula Civic Center. April 2015: The board approves the Gateway Park Master Plan, which includes the phasing plans for construction as funds allow. November 2015: Road work is performed at Key Central Forest to make it more accessible to the public. December 2015: Electrical upgrades are completed at Volunteer Park, including the in the concession stand and maintenance shop. 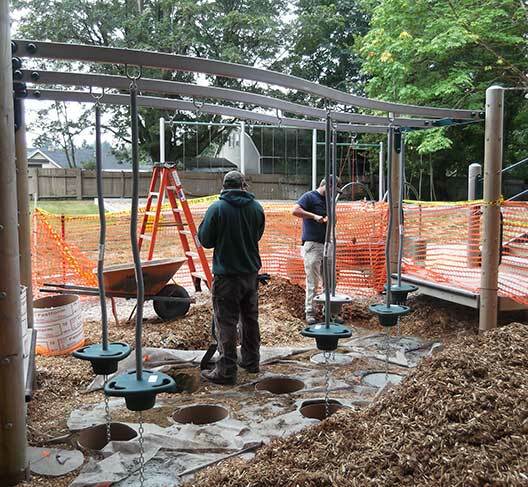 May 2012: A new playground is erected at the Key Peninsula Civic Center. June 2012: The Gateway Park property is acquired. Inter-agency collaboration is built between Key Pen Parks, PenMet Parks and Kitsap County Parks to operate Horseshoe Lake seven days a week May through September. September 2012: The property adjacent to Key Central Forest is acquired for future access development. Maple Hollow Park is renovated. Key Central Forest (480 acres) trust land properties are leased to Key Pen Parks for 50 years by the Department of Natural Resources. Minter Creek property of five acres is acquired. Volunteer Park Field 1 renovation is completed. Fifty-year lease for Maple Hollow Park and 360 Trails is acquired with the Washington State Department of Natural Resources. June: 360 Trails and Maple Hollow Park trust land properties are leased to Key Pen Parks for 50 years by the Department of Natural Resources (DNR). November: Minter Creek property is acquired. Volunteer Park Master Plan is developed. Successfully prepares applications with Trust for Public Land for Pierce County Conservation Futures ($900,000) and State of Washington Recreation Conservation Office Salmon Recovery Funding Board ($500,000) to purchase 39 acres on Taylor Bay in the amount of $1.4 million. Successfully prepares application with Key Peninsula Little League for State of Washington Recreation Conservation Office Youth Athletic Facility Grant in the amount of $75,000. Develops park logo and redesigns website. February: Taylor Bay property is acquired. September: Home Park playground and picnic shelter are erected. Lobbies the state legislature for Department of Natural Resources funding for 360 Trails and Maple Hollow Park properties. Completes a needs assessment survey for the Park Comprehensive Plan to be adopted later this year. Coordinates the back stop renovation of Volunteer Park Field 2. Coordinates the first "Parks Appreciation Day" for Key Peninsula, which includes working at Purdy Spit, Rocky Creek Conservation Area, Home Park, Volunteer Park and the Key Peninsula Civic Center. Volunteers donate over 290 hours of labor valued at over $5,000. August: Volunteer Park Field 1 is renovated. December: First comprehensive plan 2007-2013 is adopted. Completed renovation and successful operation of the concession stand at Volunteer Park, $30,000. 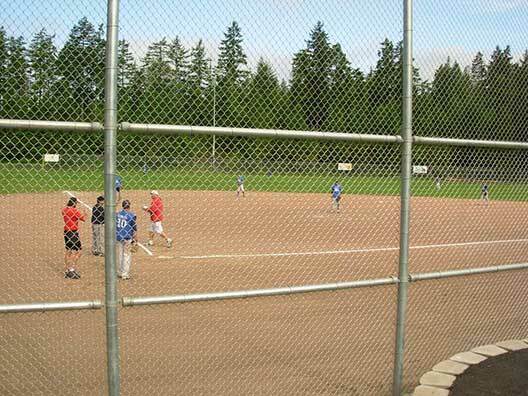 Renovation is completed of three infields at Volunteer Park. Coordinates the construction of retaining wall at Volunteer Park by Key Peninsula Lion Club members with in excess of 180 volunteer hours, $5,000. Conceptual master plan of 360 Trails property is developed.